TA Global Bhd is set to launch some RM1.2 billion gross development value (GDV) worth of projects this year. "The two projects will be the Ativo Suites serviced residences in Damansara Avenue, Bandar Sri Damansara and a mixed-use project comprising a hotel to be branded by TA ourselves and branded serviced apartments" said the TA Global Bhd CEO Tiah Joo Kim at a press conference today after the launch of the new sales gallery of Damansara Avenue today. 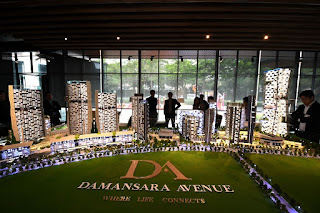 Ativo Suites is the first residential component of the revamped masterplan of Damansara Avenue comprising 668 units of serviced residences spread over two towers. Unit sizes range from 500 sq ft to 1,500 sq ft, with prices starting from RM440,000 for limited units for early bird registrants. It is set for launch in the middle of this year. "Each unit will come with air-conditioning units, wardrobes, kitchen cabinets and quality finishing. A smart home system will also allow users to control lighting and appliances, and to view and identify their visitors at the lobby," said TA Global head of sales and marketing, Eusoffe Chua. Ativo Suites has a GDV of RM550 million and will be built to the standards of the Construction Quality Assessment System (CONQUAS). "We believe in delivering quality products to our homebuyers and to be the best in class when we develop projects here at TA Global. So far, we have received very encouraging response from the public who has been asking us when the project will be launched," Chua added. There will also be at least 50 separate facilities and amenities for the residents including two pools, a sky bar, Jacuzzi pods, a signature kitchen, full fledge gym and a theatre room. Maintenance fee is estimated to be in the range of 40 sen to 45 sen psf. Another project the group is looking to launch in August is located next to the headquarters of Menara TA on Jalan P Ramlee that is directly across from the KLCC towers. "There will be two 60 storey towers, but only the first, which comprises of a 384-key hotel and 308 full-service residences will be launched this year," said Tiah. Meanwhile, the group is also looking to launch another project in Dutamas, Kuala Lumpur located next to the French School of Kuala Lumpur after Chinese New Year next year. "They will comprise some 364 units of condos and will be of slightly bigger built ups. Of course, we are stringent on the quality of products we are delivering so, it will be the best in class as well," said Tiah. 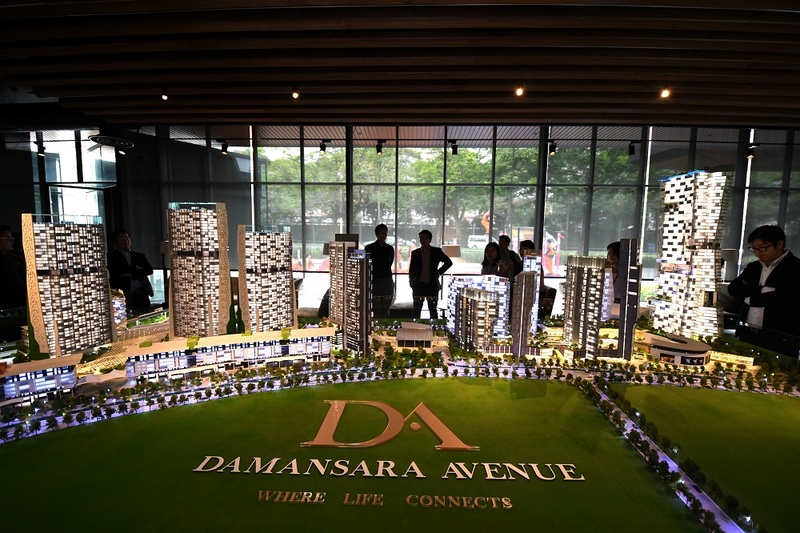 Damansara Avenue is the first mixed-use development plan in Bandar Sri Damansara spanning more than 48 acres of freehold land which will feature serviced residences, retail and commercial lots, strata offices, corporate office towers, an integrated sports complex, a performing arts and convention centre, and a shopping mall. The first two launches were the Ativo Plaza comprising two blocks of strata offices and commercial retail lots and the Azelia Residences serviced residences — both are fully sold. Subsequently, MRT Corporation announced the new MRT line connecting Sungai Buloh to Serdang and Putrajaya would be built adjacent to Damansara Avenue.